Always having a sweet tooth and a passion for baking, Tammy started a business that she dreamed about for years. She has enjoyed baking since a young age, but in the mid 2000’s, she was introduced to cake balls and fell in love with this decadent treat! After experimenting with different flavors and techniques and making hundreds of these tasty confections, she launched her business Cake Ball Couture. She stayed busy providing a variety of cake balls for holidays, weddings, showers, gender reveal parties, etc. In 2014, she decided to offer cakes to her customers as well. 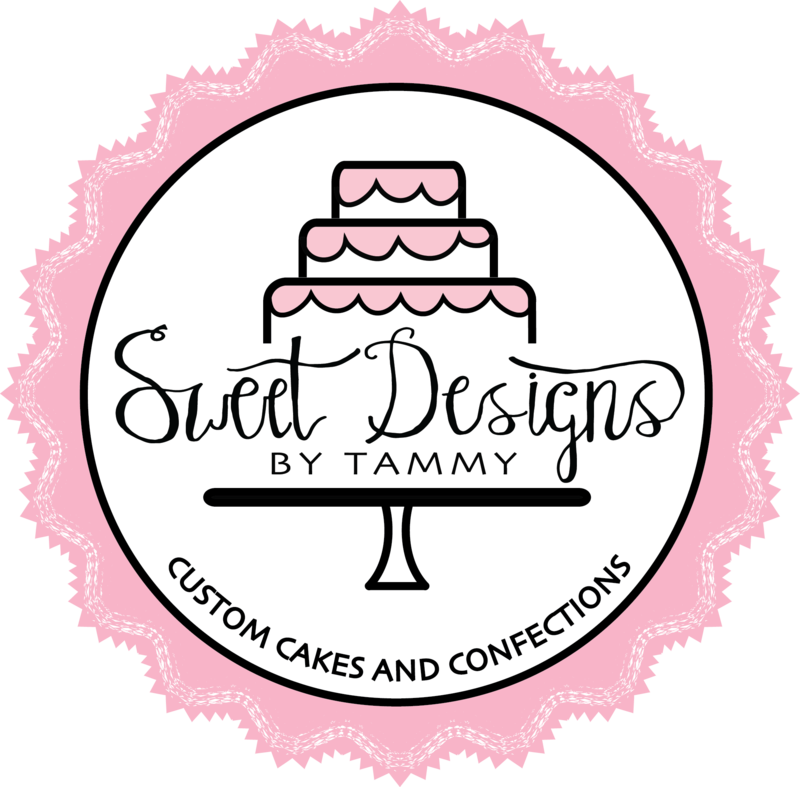 Because of that, she changed her name to ‘Sweet Designs by Tammy.’ She helps both brides and grooms design cakes for their special day, and she provides custom cakes for birthday, bridal and baby showers, gender reveal and retirement parties. She also does specialty cakes for holidays. Her goal is to not only provide customers with a beautiful dessert, but the best tasting dessert as well. If you’re looking for a baker who takes cakes personally, you’ve found her. Tammy understands that your special occasion calls for more than just ingredients. Click through the menus to find out more about her talent and creativity. Tammy also knows that looking at a cake is only half of the matter! Contact Tammy to set up a free consultation, which includes a design discussion, cost estimate, and a treat for your taste buds.